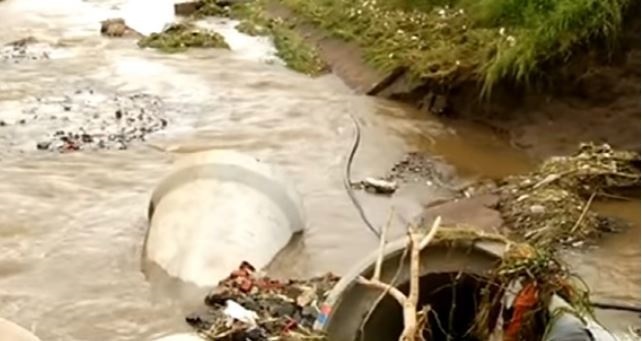 The KwaZulu-Natal Co-operative Governance and Traditional Affairs department says people should refrain from building their houses near rivers. Weekend storms caused havoc – sweeping away a family home and its occupants in the Amaoti area, near Inanda, north of Durban. The bodies of a father and child have been found, while the mother remains missing. “We are cautioning our people, we continue to work with our municipalities and traditional leadership to ensure that settlement patterns of our people are in such a manner that they are prevented from living in hazardous areas. We appeal to people themselves even informally so not to settle in areas that may pose danger in the future and to heed our call when we advise and tell them that the area that you are putting your shack in, the area you are locating in is dangerous one day there will be a calamity. So unfortunately we are in a situation that we are in and we have to assist people we cannot dwell on the challenges,” says KwaZulu-Natal Co-operative Governance and Traditional affairs spokesperson, Lennox Mabaso. The post Refrain from building houses near rivers: KZN official appeared first on SABC News – Breaking news, special reports, world, business, sport coverage of all South African current events. Africa's news leader..